(2018-01-26, 14:41)tkislan Wrote: Hi, I've already added you (for some reason, I can't reply to any PMs). I have not received an email, even checked my spam folder. Can you please try setting me up again....thanks!! Nevermind, I was looking for an email from Amazon or Alexa, it actually came from you. (2018-01-26, 16:06)hslansky Wrote: Nevermind, I was looking for an email from Amazon or Alexa, it actually came from you. 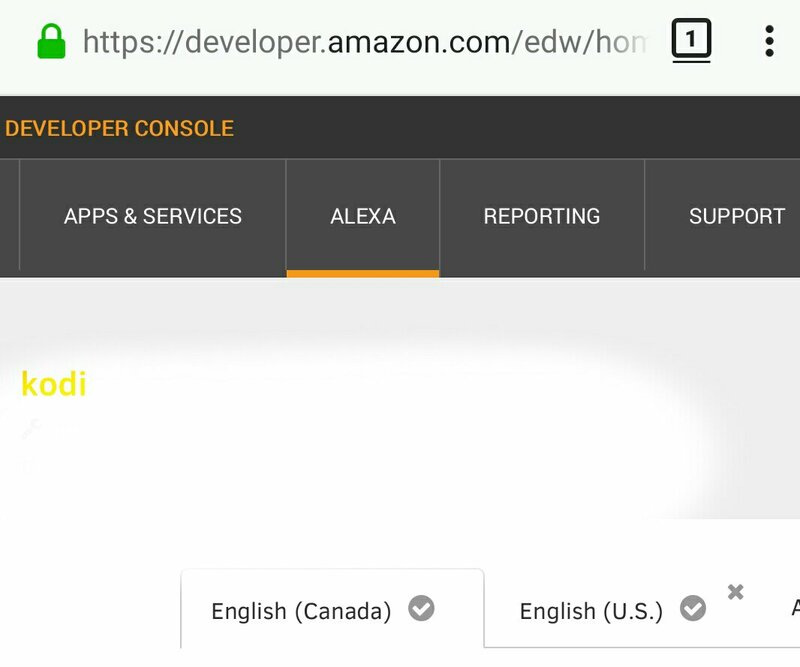 Alexa, fast forward ... this says there is a problem with the Kodi video skill. I can also comfrim that the email comes from you. Your Gmail address. When will you have English-CA available. Would love to test here in Canada. (2018-01-29, 17:46)drizzt09 Wrote: When will you have English-CA available. Would love to test here in Canada. Allowed countries is something that Amazon is restricting. So as soon as they open it to other countries, it should be available to you. Can you provide a link with that claim? I couldn't find it anywhere. Because as soon as I've added these 3 languages, I cannot add any more. Looks like it lists as English (Canada). Maybe there is a 3 language limit? And are those Video Skills? Because they probably have different rules than yours. It's even different from the rest of Smart Home skills. And Custom skills have completely different rules. I remember, that when I was adding DE as last language, there was only that one available in dropdown. You can actually try to create one yourself quickly, and see, that there is no CA option available.